Israel Folau, Australia’s best-known player, said gays and others he perceived to be "living in sin," like “drunks,” would be condemned to hell. 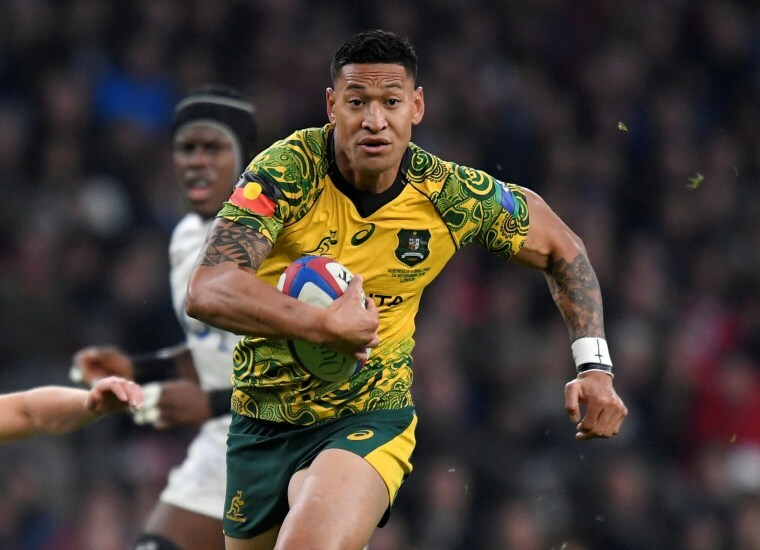 Rugby Australia said on Thursday it would terminate the contract of Israel Folau, the country's best-known and best-paid player, if he cannot offer a good reason for a social media post that said gay people would go to "hell" if they did not "repent". "Whilst Israel is entitled to his religious beliefs, the way in which he has expressed these beliefs is inconsistent with the values of the sport," the statement added. Castle said then that RA "accepted" his position that he had just been expressing his beliefs and had not intended to "upset people intentionally or bring hurt to the game". Wednesday's post, which took the form of a meme based on verses from the bible, said gay people and others he perceived to be "living in sin," including "drunks", "idolaters" and "atheists", would be condemned to hell. The post drew widespread condemnation from around the world with New Zealand Prime Minister Jacinda Ardern among those criticizing Folau for the way he was using "his platform." Japan rugby captain Michael Leitch posted a video in Instagram in which he said Folau's comments were "wrong on so many levels" and could be "a real stab in the heart" for people struggling with their mental health. The RA and Waratahs statement on Thursday said they wanted rugby to be a sport that unites and welcomes people regardless of their "race, gender, religion or sexuality." "No language that isolates, divides or insults people based on any of those factors can be tolerated," it said. Pride in Sport, which works to make Australian sport inclusive for LGBTQ people, later welcomed the decisive action taken by Castle and Hore. "This unprecedented course of action sends a strong message of what will and will not be tolerated in rugby – and they've made it clear that homophobia and transphobia has no place in the sport," said Andrew Purchas, founder of the Sydney Convicts, Australia's first and most successful gay rugby club.